After a couple of unseasonably chilly days that put a skin of ice on a neighborhood pond, the temperature rebounded into the mid-50s on Thursday and Friday. 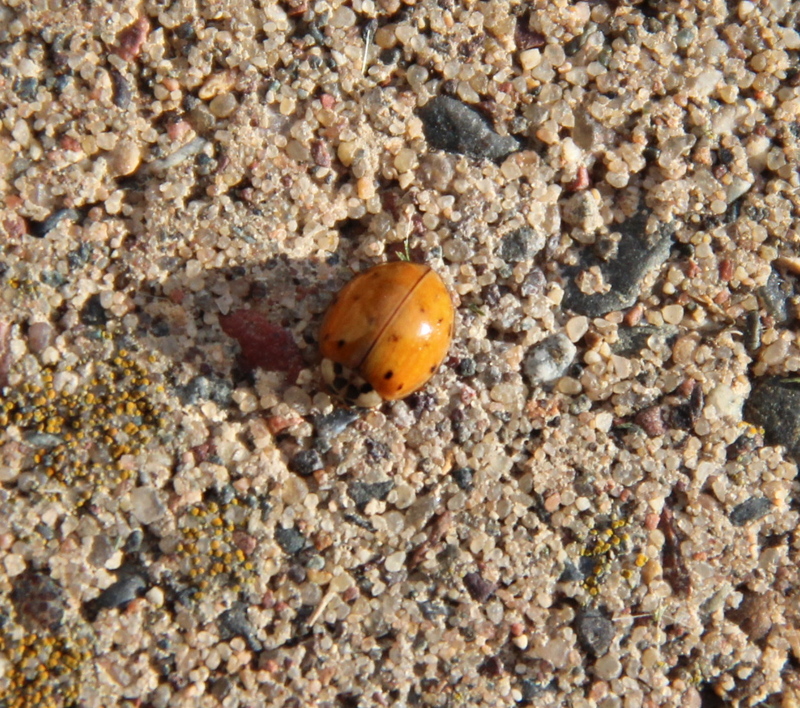 Many non-native multicolored Asian ladybug beetles came out of hiding and scurried about on sun-warmed concrete sidewalks and stone walls. 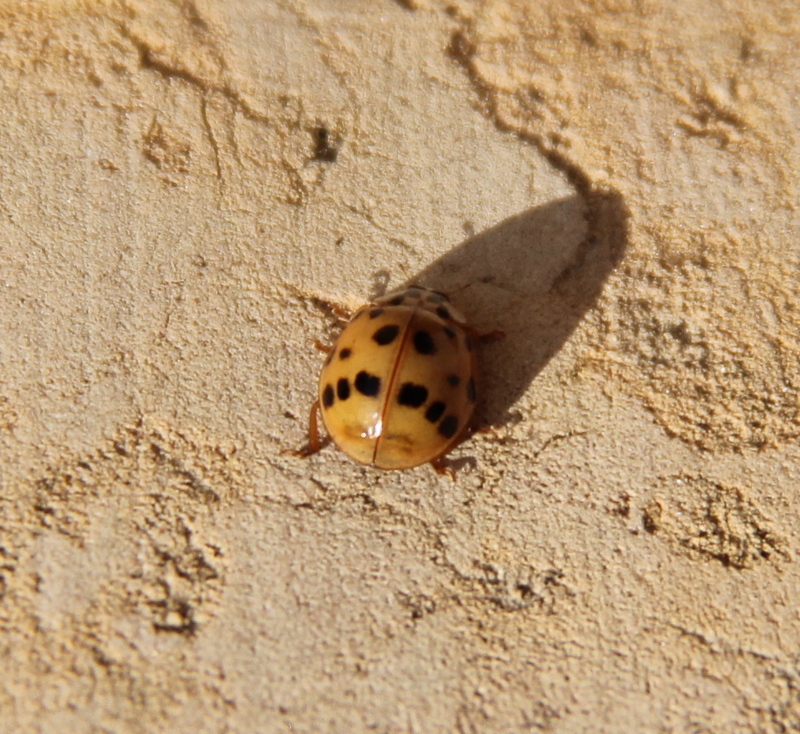 A multicolored Asian ladybug (Harmonia axyridis) soaks up the afternoon sun. I’m not an expert at distinguishing between native and Asian ladybugs, but those I photographed seem to have characteristics of Asian ladybugs: an “M” or “W” mark (depending on the viewing angle) on the thorax between the head and abdomen, variations in color among individual beetles, variations in the number of spots on wing covers among individuals, and remaining active into late autumn. Individual multicolored Asian ladybugs show greater variation in number of spots and color than native species. Asian ladybugs can be a competitive threat to native species and are sometimes pests indoors during the winter. One November evening several years ago, we drove to our cabin for the weekend. The ladybugs had gone into hibernation and when we heated the cabin, the warmth awakened a group of about 60 Asian ladybugs that had found a way inside. They preferred the lights to us and were lined up like beads on a necklace around the tops of lamp shades, and on a lengthy pull-chain for a ceiling fan and light. We never saw them again, so they must have found their way outside in the spring. 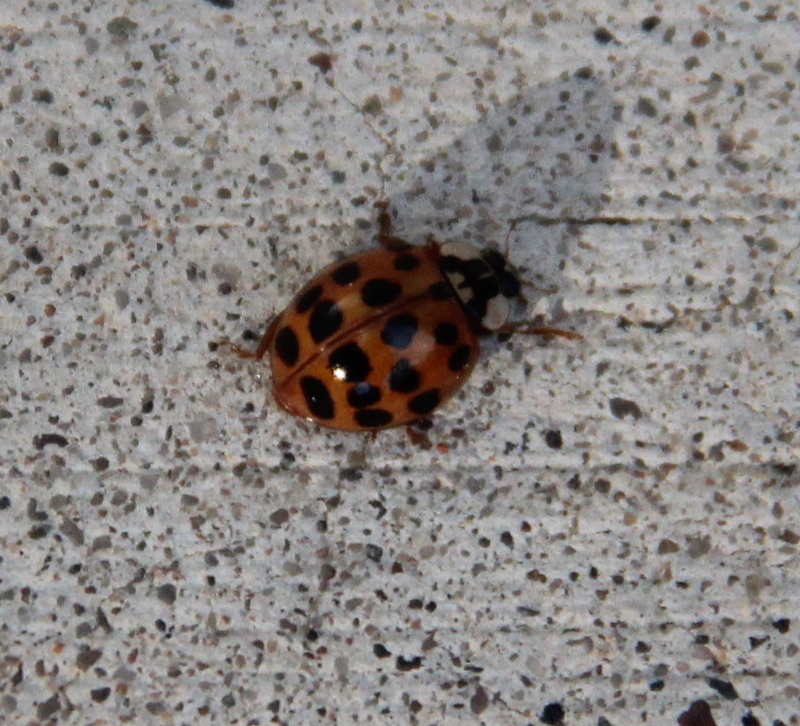 Like native ladybug species, Asian ladybugs eat large numbers of garden and agricultural pests such as aphids. 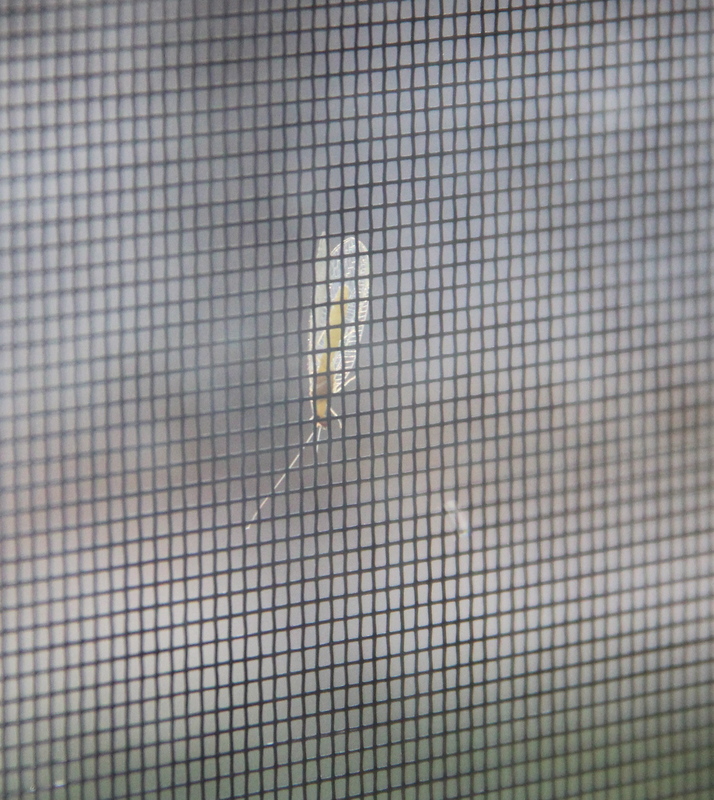 A green lacewing (Chrysopidae) perched on a window screen suns itself. The lacewing was a lovely and delicate gift on a late-autumn day; a symbol of spring to remember during the long winter. This entry was posted in Autumn, Backyard Nature, Insects, Saint Paul, MN and tagged Asian ladybugs, Autumn, Green lacewings, St. Paul Minn. Bookmark the permalink. The sun-warmed lady bugs help me pretend that winter isn’t just around the corner. Thanks for sharing these little critters! This Blog helps me understand the world around me. As always love the photos.